Facility owners and managers deal with a tremendous array of issues. Some are global such as going green, energy independence, and building security. Others involve the nitty-gritty of routine maintenance and repair. Furthermore, technology has transformed how marketers can reach this audience. The Internet enables today's building owners and managers to be anywhere from two-thirds to 90 percent of the way through their purchase decision-making process before they reach out for a quote. How can manufacturers of building products effectively reach and engage this audience? 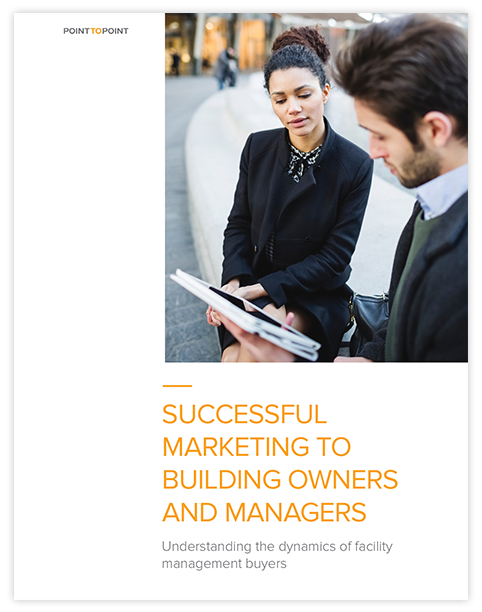 This whitepaper profiles building owners and managers and outlines key areas that manufacturers can utilize to develop an integrated marketing strategy that will build profitable relationships with their target audience. Get the whitepaper now to understand and engage this audience.